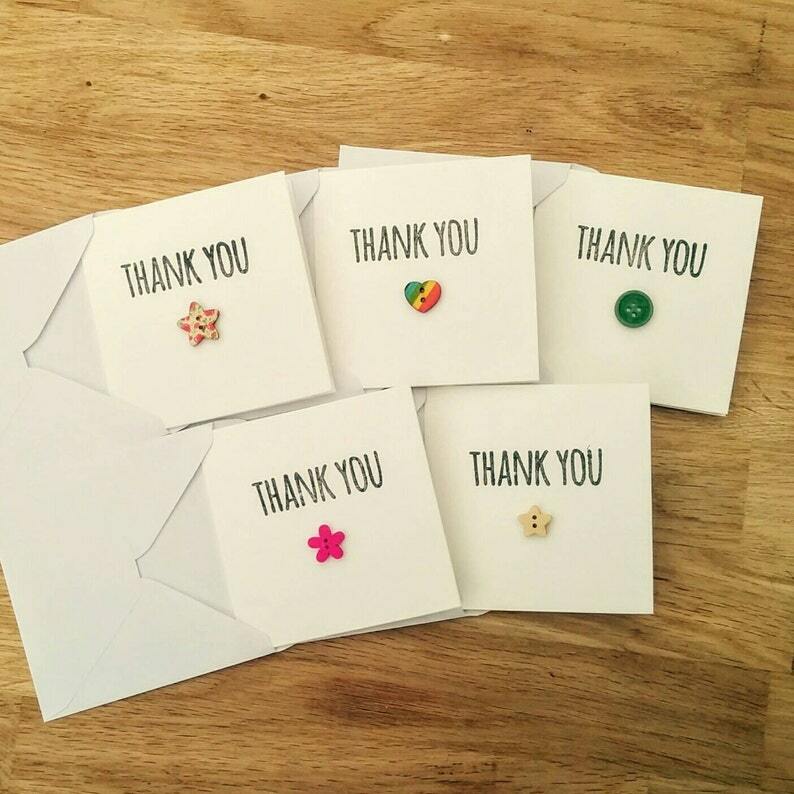 "Thank you" is hand stamped on each card, with a button underneath to decorate. These cards are made to order so so if you have any specific requirements please just pop me a message and I'll see what I can do. Cute set of thank you cards. Me encantaron las tarjetas, muy originales!